Danny’s Cleaning Service is a company that will come and clean your home just as well or maybe even better than you would. These professionals have no problem scrubbing on their hands and knees to provide you with the deepest clean possible. As a local house cleaning service, this company offers flexible scheduling to ensure their services fit into your busy life. They even make sure that their cleaning is affordable so you can have your home taken care of by the experts whenever you need it in your Maryland home. 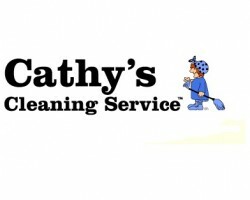 Cathy’s Cleaning Service has been offering custom cleaning since 1978. Whether you need a commercial cleaning service or a residential maid, this company is able to accommodate for exactly what you need. 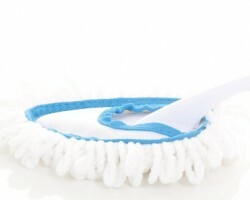 As an office cleaning service, you can direct the maid or opt to have a general clean regularly. When a maid from this company comes to your home, you can make special requests on top of the set tasks based on what needs to be done at the time of the appointment. Reviews rave about the flexibility that the company offers. The Maids is a company that offers thorough cleaning services at relatively cheap rates so you can have your home cleaned regularly without breaking the bank. For a housekeeper in Baltimore, you will not find a more qualified team. Each maid is highly trained with years of experience in both cleaning and customer care. This company offers general cleaning in a 22-step system that makes sure every aspect of the home is clean but they also have specialized services to focus on the homes of the elderly or to clean after flu season. Baltimore cleaning services of the highest quality can be found at Crystal Maid. This company has been offering house cleaning since 1989. The secret to being one of the most successful cleaners is hiring maids that are honest and responsible. You will be able to completely trust the cleaner that comes to your home and you can count on their cleaning services to be the most thorough and effective. In addition to having completely vetted maids, there will be a team leader on site to double check the tasks have been done well. A professional maid service in Baltimore, MD that outlines exactly what their cleaning services include is one that you can certainly trust. This is crucial if you are going to have a maid come into your home on a regular basis. Maid For You Cleaning is always clear about their prices and their services so you know exactly what you are getting for your money. They best part is that the cleaners are willing to do any extra cleaning or meet any requests for an additional charge per task.